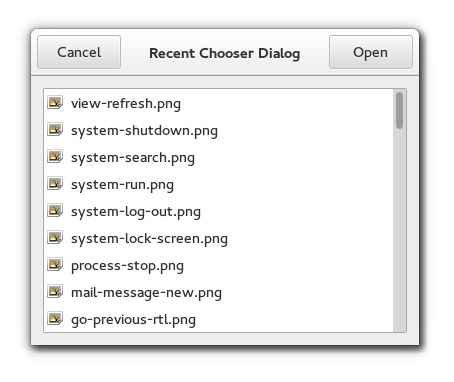 RecentChooserDialog is a dialog box suitable for displaying the recently used documents. This widgets works by putting a RecentChooserWidget inside a Dialog. It exposes the RecentChooser interface, so you can use all the RecentChooser functions on the recent chooser dialog as well as those for Dialog. Creates a new RecentChooserDialog with a specified recent manager.